“Pardon me, boy....', you'll be singing it all the way to Chattanooga! Less than two hours from Atlanta's International Airport, just over the Georgia border, Chattanooga is the perfect Tennessee starting point. 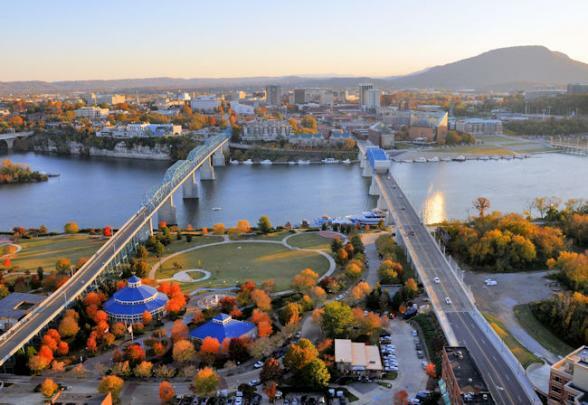 Nestled along the banks of the beautiful Tennessee River and surrounded by spectacular scenic mountain beauty, you'll discover a revitalised riverfront city with interesting attractions, outdoor adventures, Civil War and Native American history and a thriving arts and music scene. 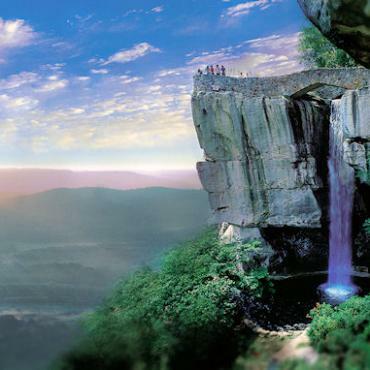 Chattanooga lies at the transition between the Appalachian Mountains and the Cumberland Plateau. 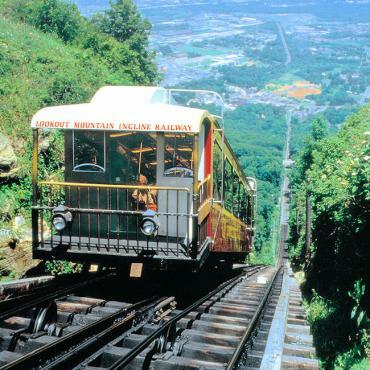 Surrounded by mountains and ridges, the official nickname for Chattanooga is the Scenic City, reinforced by the city's reputation for outdoor activities. Lookout Mountain is only minutes from downtown and offers three unique experiences. 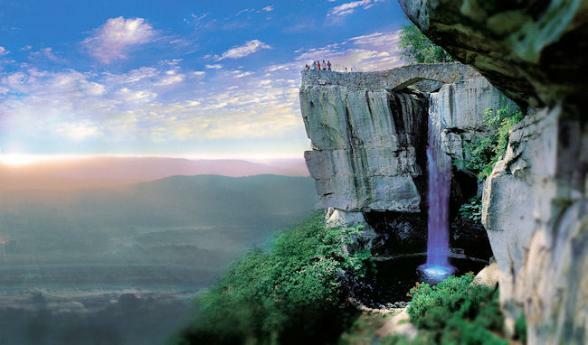 Trek through Rock City’s natural wonders; tour Ruby Falls, America’s deepest cave and largest underground waterfall accessible to the public and ride the Incline Railway, the world’s steepest passenger railway. Moore County, the smallest county in the state of Tennessee, is a dry county and has been ever since Prohibition.